Any mono-Green/Waste ramp deck out there you want to share? Copied most of this from someone else day 1 and haven't tested it too much. There are 5 t2 plays to ramp to 4 mana and quite a few options for 4 mana. Ulamog is still the main win con. I've put in some blue-hate to keep my calm. Mana looks awkward between the need for mostly green sources and the desire to exploit Ruin in Their Wake to it's fullest. edit: Still pretty solid vs everything but a ramp-mirror. Don't know why to be honest. Some losses are simply because the other player gets a better start and goes bigger faster. In those cases, there's pretty much nothing you can do (for example his Ulamog dropping you down to 7 mana). But there are also games that are pretty stalled in the late game and I can't find a tie-breaker. Don't see anything in green to that effect. Also, I'm currently trying to find a place for that clue-ranger. Suggestions? 60 Cards. 37 nonlands (19 , 18 ). Silverfur Partisan is easily the best card in the deck as it synergizes with all the pump, followed closely by Howlpack Resurgence. This deck relies on combat tricks so the Hermit of the Knatterknolls is essential as well. I'm at about an 80% win rate against random xbox scrubs with this deck. My favourite deck before the latest release was enchantment heavy mono-green ramp with Ulamog and Oblivion Sower. Not sure if it's really 'mono' with Ulamog and Sower but eh. I've been having so much fun with other new stuff that I haven't tested it in the new meta, but I don't think it's in a good place with all the popular sweepers and planeswalkers, monogreen having a hard time to deal with any of the two. And the threat of Mill to a mono-coloured deck. Cards I'm not sure about - Tamiyo's Journal might be superflous in a deck with From Beyond and Bellower. Switch for Nissa's Renewal? Nissa's Pilgrimage or Explosive Vegetation? Which is better in this deck? I approached that one a bit differently: More walkers and medium eldrazi, less 6+ mana creatures. Added recruiters for card advantage, making the alternative win condition with Westvale Abbey's more likely. This is my deck, Green Ramp , and I would like any suggestions to make this better. Last edited by AvalancheFan90 on Mon Apr 25, 2016 11:37 am, edited 3 times in total. those Evolving Wilds look weeeeeak to me. This isn't really a landfall deck. Ranger isn't ramp, btw. also I think you should ramping into Plated Crusher and another Revenge instead of Breaker of armies and the awfully underwhelming Desolation Twins. Well then what would you suggest instead of the Ranger and the Evolving Wilds? One of the keys to playing this deck is trying to protect against removal (doesn't have a great answer for bounce outside of Natterknolls and Silverfur). I typically try to keep some mana open for the pumps, and thus why the deck uses single mana pumps. I have found I also don't typically get all of my wolves down at once as flipping them can be essential, especially if equipped with the Heirloom, so playing the deck without overplaying the hand is essential. It works well as a combat trick deck. It's really fun to swing with a 15/13 trample werewolf out of nowhere! Duskwatch Recruiter x3- he's valuable flipped or unflipped- I had a game where he was flipped (werewolf), i equipped the heirloom, played out 3 more wolves at 1 mana each...then flipped the heirloom as he returned back to a human- next turn? use his ability to grab some more creatures, they all flip. Silverfur Partisan x2- Languish, and Planar are still an issue, but anything that target it always gives you another wolf...plus you can use your pump to get extra wolves on the board if he is in danger. The clue thing is a sub theme for some extra draw and pump on the tracker...but haven't been able to utilize it well when I need available mana regularly...it does jive with trying to flip the wolves however. Would love to hear any feedback. Reasoning: After playing a bit more, the 26th land felt a little awkward. We do want our long game to feel like we have 26 lands (primarily for Pack Guardian, although we have a lot of other mana sinks as well), but we don't want that many in our opener. Nissa helps hedge that land count a bit more than Basic Forest. It's also a solid threat in longer games. Reasoning: Ulvenwald Mysteries is a nice plan against control, but I think the extra Primal Bellow for reach and Oath of Nissa for consistency / threat finding is an even better plan. Oath improves a lot when we cut four non-creature spells and most of our enchantments (removing the cost against Tragic Arrogance). The extra reach from Primal Bellow always felt like one of the best top decks, and still a good cheap play in the early turns, where Rabid Bite was equivalent early and much worse late. The extra Forest should add a lot of consistency to the mana base, and improve the quality of our full playsets of Pack Guardians and Primal Bellows. Ulvenwald Mysteries was our worst card against aggro (although Rabid Bite was good), and more deck consistency should help enough to balance out the loss of removal. This also removes four sorcery-speed cards, while adding three 1-mana plays and a land, which should improve our flash game. Hello there, Zerris again with another decklist! As you've probably noticed, I would much prefer to try and meta-game against the best decks than play them myself. Here's another attempt. Unlike my prior two lists, this one's still early in testing - but my first five matches at rank 40 hit all the top-tier decks and all felt very good. Feedback to my decks has been positive (and the improvements to my Fireball deck were invaluable) so I'm hoping to get some community feedback here as well. What metagame am I trying to beat, and how am I trying to beat it? My goal is to be good against Hyper Aggressive decks ( Humans, Burn, etc), Ramp ( , , ), Walker Control ( ), and acceptable against the field at large. As usual, a tall order. So to start with, what is each of these decks weak to? Aggressive decks in the current meta are extremely bad against cheap X/3 blockers, since they run a ton of 2/X first strike and 2/2 evasion creatures. Every X/3 blocker trades with a creature, a trick, or both. It's also bad against cheap sweepers. Those don't usually go together, so we'll probably have to pick one. Ramp is weak to proactive aggressive decks. The more you cut sweepers, bring in a few cheap kill spells for their single early blockers, and cast high Power-to-CMC creatures, the better a spot you're in. Ramp also has a specific weakness to both Thought-Knot Seer stealing their payoff and Reality Smasher being bigger than any of their blockers, kill spells, or red wraths. Alright, let's play those creatures and build a proactive aggressive deck. 4CC Walkers is weak to instant speed plays that can pressure their walkers. They play almost their entire game at sorcery speed with a lot of removal and wraths, and hope it's good enough. Flash creatures and creatures which individually force removal are good here (and our own wraths would be terrible). This informs which way we should go about beating aggro (X/3s > wraths), and suggests we should play some flash creatures. Also, creatures and spells that play well against wraths/removal will be good. Also, although I didn't plan with them in mind, flash threats and efficient beaters are an excellent strategy against most blue mill/control decks. For once, this is an exciting section! Look at all those value lands! We're running a deck that's solidly two colors - but when one of those colors is , your lands can do a lot for you. As far as casting our spells goes, we need to get by turn three (for more than just Nissa - you'll see) and by turn two. After that, anything goes. In order to do that reliably, Frank Karsten's math suggests 19 sources and 13 sources. Evolving Wilds is the only real dual land in a flash deck (Crumbling Vestige won't work), and it plays nice with our few turn-one plays and Tireless Tracker, so we can run a full playset. That leaves 15 sources and 9 sources for a deck that only wants to run about 24 lands in total. Some concessions will have to be made. I've opted for just 17 and 12 sources, since we can function on single green, but not without our colorless lands. Also, our colorless lands bring us much more value. Lastly, you'll note that I said this deck wants about 24 lands, but I've included 25 - that extra land is for Pack Guardian, which (alongside our multiple sources of clues and Evolutionary Leap) makes it unlikely that we flood out. This deck could plausibly go to 26 lands, but I'd worry about diluting opening draws against aggro decks that won't give us time for clues or Leap. As far as the value lands, this configuration gives room for seven slots. Westvale Abbey is an easy pick for our first two slots; it's a secondary win condition with no cost. Rogue's Passage is also fantastic in a Midrange deck that's trying to force 4-power attackers in against ramp and control; it gives you more reach to finish out games. I think the full three copies are justified; it's been amazing. Lastly, we have two more slots to fill - the available lands are Foundry of the Consuls, Drownyard Temple, Ruins of Oran-Rief, and Warped Landscape. Ruins of Oran-Rief is right out; we don't have enough colorless creatures, we can't spare the mana, and it comes into play tapped. Drownyard Temple only has limited synergy with Pack Guardian, and we're already avoiding ramp cards. That puts the contest between Warped Landscape (fixing and Tireless Tracker triggers) and Foundry of the Consuls. I can see more situations where I'd gain value out of Foundry (it's another "Flash" threat with evasion, and two blockers for aggro) so I've prioritized it, but Warped Landscape isn't out of the question. Unlike my other decks, the strategy for this deck varies wildly from match-up to match-up. Figure out what your opponent's deck is, and try to out-midrange him (or her). If they're playing an aggressive deck, prioritize 2-drop creatures and holding back on blocks until you can crack for lethal in a single swing - you win the long game, so they have to attack into you or lose. If they're playing ramp, jam every high-power threat as quickly as possible - prioritize flipping your werewolves by using flash creatures and dealing as much damage as possible so that a Westvale Abbey / Reality Smasher / Rogue's Passage has enough reach for lethal. If you're playing against Walker Control, try to pressure them into using their wraths / removal as inefficiently as possible - prioritize dropping Evolutionary Leap and Duskwatch Recruiter, then holding up your mana every turn to flash in threats post-wrath or post-walker. Kill their walkers while swinging damage until you think you can push through lethal. If you're playing against counterspell control, only play 2-drops into open mana (and only until you have some board presence), then hold up mana to flash things in when they tap low to draw cards. Play on their endstep, then untap and play on your turn to overwhelm countermagic with a flurry. Basically, figure out what your opponent is up to, and play to their weaknesses - you have the tools, as long as you know the metagame well enough to read their deck by the third turn. Flipping Lamholt Pacifist is important, but relatively easy. You have plenty of removal / flash threats to hold up on turn 3 or 4, and against anything other than aggro, it's usually worth doing - even if it's not a perfectly efficient use of your mana. Also, Nissa can make her a 4/4 on her own, which allows her to attack, as do all of our 4 and 5 mana plays. Flipping Duskwatch Recruiter is even easier, and allows for some cool tricks - notice that you can pass on the turn after you play Duskwatch, flip him, then flash in Pack Guardian (or Vile Redeemer with the ability to pay). Remember to hold on to a land in the late game - this deck only needs 6 mana (to activate Abbey / Foundry) and any extra land is a potential 2/2 wolf. Also, it'll stop you from getting shafted by priority bugs and help hide your hand's contents from your opponent. Holding on to Colorless lands is better than Forests, because they pump Primal Bellow. This also means knowing when not to put lands in to play off Matter Reshaper triggers - it is optional. Almost half our deck (Duskwatch Recruiter, Vile Redeemer, Pack Guardian, Primal Bellow, Warping Wail, Spatial Contortion, Evolutionary Leap, Westvale Abbey, Foundry of the Consuls, and Clues) can be meaningful at instant speed. This means we can reasonably pass with all our mana up and still use it efficiently most turns, and is a nightmare for opponents. What should they play around? It's like playing a blue deck, except our instant speed tricks attack you back on a relevant clock. Even more effective when this isn't a popular deck, so our opponent can't guess our hand as easily as they could against, say, Humans. Also, don't be afraid to use Warping Wail as a one-off ramp spell or a flash 1/1 attacker/blocker; the card is made of versatility and you should take advantage of all of it. Same with Spatial Contortion - it's either a kill spell or a pump spell depending on your needs. Lastly, a bit of trigger minutiae - In Magic, the trigger for flipping Werewolves is in the upkeep. Magic Duels doesn't have an upkeep. When, you might ask, do these triggers occur then? They occur during the endstep! This means you can cast an instant/flash creature in response to their flip trigger, and it won't count as a spell cast for the next turn (nor will it stop the flip once the trigger is on the stack). Depending on how much of an MTG purist you are, you might consider this illegal, or you might not - but it's worth knowing. As I said at the beginning, this deck is still in the early stages of testing/tuning, so these should be considered transient at best. I'll order them by how important I think they are to the deck, so that you can see which ones I'm looking to improve upon. Sylvan Advocate, Lambholt Pacifist, Duskwatch Recruiter - This is our hedge against both aggro and control (in addition to a few removal spells). We want to drop a 2-drop creature every game, and each of these is a significant creature for such a small investment. Lambholt Pacifist and Duskwatch Recruiter reliably flip turn 3 or 4, alongside instant speed plays. We might even be able to justify more Werewolves, but these are clearly the strongest for what we're up to. Pack Guardian, Spatial Contortion - The creme of our instant speed crop, this is a 4/3 flash creature (sometimes with a 2/2 friend) and a 2-mana removal spell that hits almost all the 2 and 3 mana plays in the format. They're both fantastic, and a lot of why we get to play our game at instant speed. Thought-Knot Seer, Reality Smasher - These are both incredible threats against any late-game deck, and the backbone of our strategy against ramp. Thought-Knot seer is also one of the few cards in the game that let you see the opponent's hand. If you've ever seen a format with Thoughtseize, you know how valuable this information (and the ability to act on it to disrupt their plans) is. Staple it to a 4/4 beater on curve, and you're winning games. 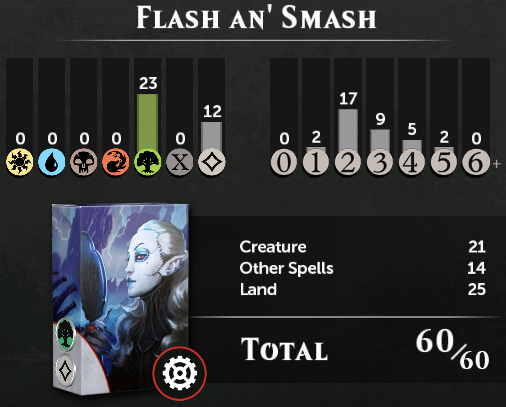 Reality Smasher is just the best threat in any aggressive midrange deck, as it has gratuitous lines of text that all read "get wrecked" in various forms. These two cards - even with just two apiece - are why we have as our second color. Tireless Tracker - This card is a value machine and one of the best green creatures in standard. It's a bit more focused on the long-game than our deck typically is, but we do take excellent advantage of clues, and a 3/2 for 3 is at least playable. Warping Wail - While none of these modes are fantastic, having this much versatility in a deck playing on the opponent's turn is very good. This "Eldrazi Command" can counter all the wraths of the format (aside from Kozilek's Return, which doesn't kill our creatures), exile Jaddi Offshoot, Thing in the Ice, Consul's Lieutenant, and more, and give you a flash attacker/blocker/mana ramp. The deck won't fail without this card, but it will lose a lot of tricks. Nissa, Voice of Zendikar - A planeswalker that does everything we want, for only 3 mana. What a deal! We're an aggressive deck that can go wide and blocks well, which is where she shines. Also, she makes Lambholt Pacifists into 4/4s, which is adorable. Provides blockers for aggro, provides pressure for control/ramp, dodges wrath - a good fit. Primal Bellow - Adds some much-needed reach, especially alongside Rogue's Passage. Also, this deck feels like it wants a few more combat tricks to scare opponents away from attacking/blocking properly. Since we have no incentive to play non-basic Forests, Primal Bellow feels like the best pump spell, though I considered Confront the Unknown and Might of the Masses. The most often scenario for wanting maximum damage from a pump spell is when we only have one creature left and want to use a 1-mana spell + Rogue's Passage to push lethal on the last turn, and this seems ideal for that case. The rest of the time, +1/+1 or +2/+2 is plenty to win a combat fight. Westvale Abbey, Rogue's Passage - These are our "good" value lands, and they give us some nice options. They passively fill out our mana base at no cost, while also giving us yet another excuse to leave up mana. They also give us multiple forms of reach, a common problem for a green deck. The Rogue's Passage activation in response to flash blockers is hilarious, and it comes up with Archangel Avacyn in the format. These are all the cards I'm look to improve upon (or test more, so that I can conclude they do their jobs). Any replacements should probably start here. Matter Reshaper, Vile Redeemer - Redeemer is another reasonably costed flash threat, and we can pay his kicker to regain value after a wrath. I think he makes the cut, but he's the last one in for my creature suite. Matter Reshaper is a little more reliable at getting value, but it's missing that all-important third point of toughness, and it's expensive on the front side. That said, it's Byway Courier if the clue cost 0 and came with the possibility of the card you drew also being discounted to 0, so... hard to go too far wrong. Excellent threat against control decks. Oath of Nissa - A cantrip that can select from most of our deck. Doesn't put down any pressure (and the Walker bonus isn't very relevant), but does smooth out the draws a lot. We don't have anything else going on turn one and most of our lands enter untapped, so it fits the curve well. Nissa, Vastwood Seer - We naturally want to be playing about 26 lands for Pack Guardian and Tireless Tracker, but we don't need that many lands in our opening hand. Nissa is a way to hedge that land count, and also attacks/blocks/qualifies as a lategame threat. We don't hit 7 lands every game, but the games where we don't are the fast games where we'd prefer a 2/2 for 3 that cantrips over an additional basic land. Evolutionary Leap - I don't think you want it enough to see the second copy, but the first is pretty good against removal. If I were to make replacements, they'd likely come from here. Elvish Visionary, Sylvan Ranger, Dwynen's Elite - The elf value package. Probably plays really nicely with Leap and Mysteries, but we're trying to be aggressive and these cards just durdle. No, I don't want to pay 2 mana for a cantripping 1/1. I'd rather pay 2 mana for a conditional 4/4 or 4/5 and beat your face in. Confront the Unknown - Briefly in the deck for clue synergies and being a pump spell that's not card disadvantage. Unfortunately, it's also rarely a real pump spell. Hinterland Logger - Did you say more aggressive 2-drop werewolves? I guess I did, but I didn't mean this. Can't even block a Consul's Lieutenant, which is unacceptable. Nissa's Judgment - Value removal, at the cost of being atrociously expensive and slow. I don't think we can afford this at sorcery speed. Reclamation Sage - Good, but reactive. Attacks... poorly. Retreat to Kazandu - Good when it works, but voted most likely of his class to be the only permanent left on the board, tearfully gaining us life we don't care about. If I'm going to play a non-threat spell, I want it to win the game, remove a threat, or counter/neuter removal on my own threats. This does none of those. Seed Guardian - Similar to Pack Guardian, but can't be played at Instant speed. So sad. Woodland Bellower - The best 6-drop in our colors, if we wanted a 6 drop that offered value without winning the game. We don't. Stalking Drone - Another 2-mana beater, this one is a 3/4 with... "upkeep". I don't think we want to pay that, though it's an interesting thought. Early game is us trading 2-drops; I cast a very early Evolutionary Leap and start passing my turns with all my mana up (and a Warping Wail in case he ever tries to hard-wrath). First time he drops Ob Nixilis Reignited, kills a creature, and I decline to Leap it. Presumably confused, he attacks straight into a Pack Guardian, losing his Sylvan Advocate, and his Ob Nix on the crack back. This sets the tone for the match. His next play is Chandra, Flamecaller into more open mana, wrathing my board – I again decline to Leap anything, flash in Vile Redeemer for two scions, and kill Chandra on the return. This time, I attack into open mana, he flashes in Archangel Avacyn… and I just make my creature unblockable. His turn, he drops Nahiri, the Harbinger and kills it, alongside more blockers, but he’s down to 8 life. I have Primal Bellow and Spatial Contortion for 9 on Duskwatch Recruiter, but I'm exactly one mana short of being able to also go unblockable. Alright, let’s play for the win – pass turn, no attacks, all mana up. Opponent minuses Nahiri to kill Leap, then drops Sorin, Grim Nemesis and minuses him on Duskwatch for exactly 3 (a mistake by him) - crucially, having to tap his Shambling Vent to do so. He’s got no other obvious ways to gain life – so I let it die. He’s at 11 life, I have nothing but lands, and he has Nahiri, Sorin, Avacyn, and blockers. Time to kill him. Flash in Pack Guardian without a wolf, cast Warping Wail for a Scion to get my last mana, untap, Primal Bellow + Spatial Contortion + unblockable for 11 damage. Good game! Best match I’ve played in a while; both decks running at maximum potential. I mulligan a 5-lander into another 5-lander with Vile Redeemer / Reality Smasher and keep. He drops Goblin Glory Chaser on the play and I know I’ve made a terrible mistake not mulling to 6. I continue to fail to draw two-drops as he gets two renowned Goblins, although I do get to Warping Wail a Stormchaser Mage. Thought-Knot Seer steals a probably-lethal Slip Through Space, Rabid Bite kills Chandra, Fire of Kaladesh, and I stabilize the board with Nissa, Voice of Zendikar plants at 6 life. Fearing more unblockable tricks, I attack with a Reality Smasher, leaving back five blockers – and he swings the team into them. Two plants get Twin Bolted, I block for maximum safety, he Titan's Strengths the sole unblocked goblin token and leaves me at 2, but dies on the crack-back for exactly 15. Close game. On turn 4, I pass the turn with up, Matter Reshaper and Pack Guardian in hand. That mistake cost me the game on its own vs. an aggressive deck, since it let them get a Consul's Lieutenant renowned for free and it spiraled from there. My final desperate attempt at Westvale Abbey shenanigans got ruined by a top-decked Archangel Avacyn forcing extra chump blocks, but the game was lost on turn four. Without that misplay, I think I had the edge and would have won eventually. A turn one Expedition Envoy gets in 8 damage, but my ability to play at instant speed stops him from developing further, and I eventually use Rabid Bite and Spatial Contortion to overwhelm his countermagic and kill it. He follows with Whirler Rogue and then tries to race my double Reality Smasher plus Tireless Tracker draw. It doesn’t go well, and he eventually concedes to the onboard kill from Rogue's Passage, declining to even bluff a bounce spell. I assume his deck played Willbreaker, though I never saw it. Early Lambholt Pacifist flips, and manages to do some damage as I play on his turn to keep her flipped. 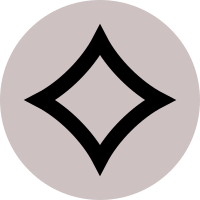 Kiora, Master of the Depths makes a brief appearance and does nothing before dying to a Warping Wailed in Scion and the Pacifist. Thought-Knot Seer from him sees my hand and steals my Tireless Tracker, since I have no removal. I top-deck a Spatial Contortion – somebody’s about to be mad. Swing Lambholt and Vile Redeemer into two blockers, he blocks Redeemer with Thought-Knot, and I take the 2-for-2 trade, since it unlocks my hand. Play down a flurry of creatures, since there’s little chance has sweepers, then Pack Guardian to let my Pacifists keep attacking. He ramps and plays Drowner of Hope, which stops my auto-win with Abbey, but he’s forced to trade both scions for wolf token, giving me a clear win with him at 2 and me having 7 power minimum unblocked and Rogue's Passage. I don’t believe he’s left himself dead on board, so I Thought-Knot pre-combat, and sure enough he’s got Pulse of Murasa. His hand is now Thought-Knot Seer, Ulamog, the Ceaseless Hunger, and Kozilek, the Great Distortion with exactly 10 lands in play. Neither Thought-Knot nor Kozilek can stop me on board, so I take the Ulamog, attack him down to 1, and pass back. He plays Kozilek, draws 7, and holds up a Hinterland Harbor bluffing Fog (I think that’s the only trick that could save him 2 blockers vs. 4 attackers? ), but there's no reason for me not to call and he concedes to my Rogue's Passage activation. Even more than normal, I'd appreciate suggestions on card selection - this deck is still in early testing stages, and could use some tuning. It looks strong, though - I played all three cornerstones of the meta in five games, and felt like I was even or favored in all of them. Last edited by Zerris on Sun May 22, 2016 4:20 pm, edited 6 times in total. Opponent has t2 jace into t4 woodland wanderer. I have a t2 Duskwatch recruiter powering out a t3 pack guardian. He loots away tragic arrogance early on since he only sees forests on my side, and eventually pauses the game for quite a long time when he tries to flip jace on my endstep and I Spatial Contortion it away. Some trades later he put in more big blockers, but rogue's passage and tireless tracker + mysteries continuously menacing Ormendahl activation allow me to easily put the game in the books. Smooth win, but I put this down to 'surprise factor' since the opponent was clearly not playing around contortion. I would've had game even if he had gotten the arrogance off though, since I also held Vile Redeemer. Had to mull to 6 on the draw, kept a hand with t2 recruiter into potentially t3 Tknot t4 Tknot. Unfortunately my opponent goes t1 kytheon t2 lieutenant t3topan freeblade, and I don't get to cast t3 tknot because of evolving wilds, but have to settle for t3 3/2 tracker to try and at least trade one dude away instead of just taking 9. I get run over despite the decent hand. If I get one of the removal spells early on here, I 'm probably stilll in that game, but opponent basically had the nuts on the play. Same guy. Get recruiter into reshaper into redeemer, he goes nissa into wanderer again. Guy attacks nissa straight into redeemer, then blocks my howler with wanderer on my t5, gets blown out by primal bellow, tries to play planar outburst t5, gets blown out by Warping Wail. Concedes. Dude had t2 heir into t3 olivia on the play. Luck skill Victory. I made a missplay this game, but considering the nut draw on the play again, nothing much would've helped here. Elves chumping with evoleap and advocates into ramp into removal into back to back bellowers and greenwardens? Not getting through on the regular i guess. Had him at twelve and dead to a single primal bellow for 5 turns whilst he kept spamming big guys. Never drew it. I think the deck is good and the colorless works very very well in here, there are too many situations where your toolbox of tricks is too limited though. I prefer Counterspells are counterspells. Your intended matchup targets leave me unvonvinced; since I lsot twice to aggro, but, considering the nut draws involved, maybe I shouldn't be so harsh. Last edited by Goblin Rabblemaster on Fri Apr 29, 2016 3:13 am, edited 8 times in total. This deck looks sweet, I'll definitely give it a run once I open the last cards for it. The creature base looks amazing. Vile Redeemer might be a bit of an oddball, but your explanation for him absolutely makes sense, and 3/3 Flash for 3 with conditional upside ain't bad at all. The cards I'm on board with the least in your deck are the Ulvenwald Mysteries. One of them should definitely be Nissa, I think: even a 2/2 for 3 that fetches a Forest seems good for this deck (at worst, you discard the Forest to a Pack Guardian or just enable him) and her late-game is pure upside. The others slot I'd put up for debate. Woodland Bellower is definitely a candidate I think, an alternative might be Ulvenwald Hydra to fetch the utility land you need. If you don't want these 6-drops, I'd consider the second copy of EvoLeap. What do you mean by Ulvenwald Mysteries combo's with itself? And a suggestion to replace Foundry of the Consuls could be From Beyond perhaps? Once cast, it'll generate at least the same amount of mana per turn as the Foundry, but it opens up more options. Unless you feel the need to have optional aerial blockers in play of course. Ulvenwqld Mysteries comboes with another copy of Ulvenwald Mysteries in the sense that you get double the clues per dying creature and double the tokens per sacrificed clue, meaning their value increases in multiples. On the contrary, a second copy of EvoLeap does not add anything to the board, meaning it gets worse in multiples. From Beyond does not fit the pretty aggressive game plan of the deck I think. On turn 4, you don't want to spend all of your mana for a card that does not directly affect the board; you're more interested in closing out the game rather sooner than later. From Beyond does a lot better in decks that want to play a longer game. And no one forces you to play From Beyond on T4.. Besides, the only 4 drops in the deck now are the Flashable Pack Guardian and TKS. If you have either one of these on hand together with From Beyond, you'd just play TKS or keep the mana up to set a trap. If you don't have these in hand, you drop From Beyond and start creating or blockers or Abbey fodder or tutor for a TKS or Smasher at instant speed whenever you want. It's also a good lightning rod for angelic purge which would otherwise hit one of your more valuable targets. Ulvenwald Mysteries is a nice plan against control, but I think the extra Primal Bellow for reach and Oath of Nissa for consistency / threat finding is an even better plan. Oath improves a lot when we cut four non-creature spells and most of our enchantments (removing the cost against Tragic Arrogance). The extra reach from Primal Bellow always felt like one of the best top decks, and still a good cheap play in the early turns, where Rabid Bite was equivalent early and much worse late. The extra Forest should add a lot of consistency to the mana base, and improve the quality of our full playsets of Pack Guardians and Primal Bellows. Ulvenwald Mysteries was our worst card against aggro (although Rabid Bite was good), and more deck consistency should help enough to balance out the loss of removal. This also removes four sorcery-speed cards, while adding three 1-mana plays and a land, which should improve our flash game. Our Mana Base is now (counting Oath of Nissa as .25 mana sources each except for turn 1-2, and .5 mana sources for Nissa herself) 18.5 Sources (19 for Nissa) and 12.5 Sources out of the recommended 19 /13 , with 14 turn one Sources (recommended: 14) for the Oath itself. Also, I finally figured out what out my Ramp opponent could have had that I could have played around! He had Drowner of Hope with no scions on board, Thought-Knot Seer, Kozilek, the Great Distortion, and something unknown in hand, 10 lands in play. I'm tapped out with four lethal attackers, Rogue's Passage, and Westvale Abbey, so he isn't winning the long game. His two outs (which might not be in the deck) are to play Kozilek, and hope to draw into Source + Essence Flux or Source + Fog. There's nothing I can do about Fog, but Essense Flux has counter play. If I activate Rogue's Passage or Westvale Abbey (or do anything else that taps my mana) pre-combat, he can respond by Essence Fluxing Drowner of Hope, getting two scions, using one to tap down my unblockable threat, and leave up three blockers for three attackers. He then gets to eat two creatures in combat, tap down anything left over with his scion before damage, and swing back for lethal with a pump spell or gain life with Pulse of Murasa, which he's very likely to draw into. My play - the most conservative line I could find - was swing with a single Sylvan Advocate, and activate Rogue's Passage after declare attackers. It did play around his one out, though I guess I'll never know if he was running that lucky. Opponent keeps a two or three land hand and Declaration in Stone’s my first two plays, but it’s not even close to good enough. My curve of Lambholt Pacifist > Matter Reshaper > Thought-Knot Seer > Thought-Knot Seer > Reality Smasher feels like it could win a Modern Pro Tour, and certainly wins a game of Magic Duels. Nut draw effectively kills him on turn 6 through resistance – ended with 25 power/toughness on the board turn 7; more in the tank. The deck name: thanks to TKS, I saw Declaration in Stone, Declaration in Stone, Bygone Bishop, Tireless Tracker, Tireless Tracker, Always Watching, Woodland Wanderer, Archangel Avacyn, and three lands (including an Island). Game nearly started a disaster when I kept Forest, Forest, Oath of Nissa and needed a colorless land – Oath only found Forests, but I got one on my first draw step. Close enough. Opponent attacks his Kytheon, Hero of Akros into my Duskwatch Recuiter, so I just take the trade. I don’t think he expected that. After that, I literally outrace him, playing a 3/x or 4/x creature every turn. He can’t keep up, and he doesn’t have enough pump to take advantage of his theme - eventually dying to the second flashed in Pack Guardian. I play Duskwatch Recruiter on turn two. He kills it with Sinister Concoction tossing Gaea’s Revenge when I go to attacks on three, but I just activate and get a second Recruiter. R.I.P the dream of turn three Pack Guardian, though. I put down some pressure, and manage to Warping Wail his Bitter Revelation. He casts Ever After for Gaea’s Revenge and Altered Ego, but I flash in a Vile Redeemer and overkill him with Primal Bellow. …Because he concedes on turn 3 for no apparent reason. The AI beats me handily, though – definitely feeling the loss of Ulvenwald Mysteries here. The problem was T4 Nissa, Voice of Zendikar and deathtouch blockers taking out both Reality Smashers, alongside triple sweepers. Abzan is probably a bad matchup for us, though his draw was fantastic and mine was relatively poor. Side note, the AI got Nissa, Voice of Zendikar up to 8 loyalty, only to sacrifice her for Nissa, Sage Animist in the same turn. Awkward. Yeah, this match-up is terrible without Ulvenwald Mysteries / Leap. Not even close, though not drawing a third land for five turns was no help. Strategy is simple: Attack whenever you can blow out combat with pump or the damage you can force through is worth the trade. You can bluff Wildsize with 3 mana up and people might play around it; they don't (and can't, really) play around 1 mana pump spells, so don't bother bluffing those. If there aren't any good attacks, go wide and sandbag your pump spells until you have lethal. You can play attackers faster than most decks can play blockers, and each of your 1-mana pump spells is +5/+5 or better most games. Wildsize lets you go over the top (and makes for good midgame trades) and most of your creatures cantrip or replace themselves. This deck is particularly good against other aggro decks, because it has a faster clock than almost all of them, but the clock is hidden so they don't hold back to block until it's too late. Although wraths are really bad for us, any creature can suddenly be a 10/10, which makes Blisterpod much better insurance than usual. To support our two primary pump spells, we've warped the creature and mana base: the creatures are all cheap and replaceable, and the mana base is all forests. The singleton plains is fetched for Sunblade Elf, using Sylvan Ranger - you won't have it every game, but it also isn't required. I think Westvale Abbey is probably fine here - the cost is a point off Primal Bellow, the benefit is straight up winning some games for you. We do reliably get to 5 creatures, and can often hit 6 mana with Scions and Sylvan Rangers. There's some argument for Canopy Vistas, but every time I've played it, the card has come into play tapped and annoyed me. We get a lot of two-land Sylvan Ranger hands, and I don't want to slow them down to occasionally turn on Sunblade Elf. You'll also notice no Evolving Wilds for Tireless Tracker; it's not here to be super mega value, but just another hedge against flooding out. First thought: you must really enjoy getting blown out by Languish, Radiant Flames and Planar Outburst. Second thought: What are Sylvan Rangers doing in a deck that doesn't ramp into anything? I'd replace them with Lambholt Pacifists or Snapping Gnarlids. Same CMC, better body. Third thought: I like that you're making aggro decks, a lot of other brewers on here mostly focus on control and midrange strategies and I prefer aggro to any of that, but lately your decks have been kind of samey. Dump your hand full of two-drops on the board, turn creatures sideways, pray the opponent doesn't have a sweeper. These one trick pony decks aren't resilient enough to match the current meta. Mostly, they can't rebuild after a sweeper and they don't have late-game reach to get through board stalls. I feel aggro needs another approach. I go back to this mono-green Elf deck now and then, it's very consistent albeit perhaps not tier 1. If I have a convincing board I can hold back cards and sometimes come back after a sweeper has hit. The plains are there for the Sunblades. The only card I sometimes switch is the single Pilgrimage. Vine is there to fetch a plains, or get me out of a two-land draw. Instead of Tireless Tracker I run Evolutionary Leap, but for the same purpose. Works ok, but as mentioned sweepers are a pain in the new meta.